Promotional Feature: Everything you need to know in order to optimize the performance of SSDs in Windows explained in simple steps. As almost every component in your PC can be tweaked to get better performance, SSDs are no different. Not a lot of people know that they can adjust a few different settings in their systems to ooze out the maximum performance from SSDs, and we aren’t surprised by this considering, SSDs by default are incredibly quick and the thought of making full use of them hides behind that speedy transfer blur caused by using them in the first place. It’s always best to optimise SSDs as they don’t come optimised for your system by default. Let’s delve into some pretty important but easy to do steps to optimise your SSD, one setting at a time. When it comes to buying SSDs, selecting a good one makes you already win most of the performance battle and so you should make a wise and informed decision and select the best SSD available in your budget. 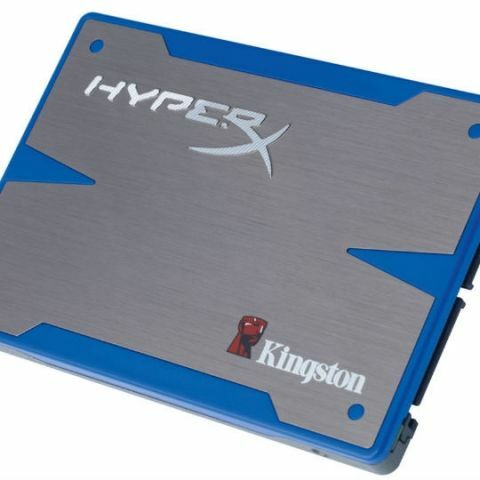 Kingston, with their expertise in storage has plenty of options to choose from while buying a SSD and you’ll surely find the best one suited for your budget. You can also check out our previous articles on selecting the right SSD for your PC and laptop or learn about the benefits of using a SSD. It is absolutely imperative to enable AHCI mode during optimisation of a SSD. You can enable AHCI through the system BIOS/EFI. All you have to do is get into the system BIOS during boot by pressing the pre-defined key required for your system. For most systems, it’s “Del”, “F2” or “F10”, but it may vary depending on your motherboard manufacturer. Next, try to locate the storage or Hard Drive related menu in the BIOS. Once you’ve located storage options, change the SATA Controller mode to AHCI. If you’re not sure whether AHCI is enabled or not, you can check for it by simply opening “regedit” through the run dialog box in Windows and then navigating to “HKEY_LOCAL_MACHINE\SYSTEM\CurrentControlSet\Services\msahci” and changing the start value to “0”. Updating drivers brings about a lot of improvements and bug fixes from manufacturers and so it’s necessary to update drivers regularly. This should also be done because while updating the chipset drivers, we can enable TRIM. TRIM is a necessary command which allows the OS to inform the SSD about the blocks of data in it that are no longer in use and can be completely wiped from memory. What this means is that TRIM essentially lets the SSD erase unused blocks of data. TRIM is therefore a very important function and it improves the performance of the SSD while also prolonging its life span. 5. )After pressing “Enter”, if the result shown is 0, then it means that TRIM is enabled but if the result is 1, then TRIM is disabled in your system. An easier way of finding all the information about your SSD including TRIM is by using the software – CrystalDiskInfo which provides thorough information about the same. It’s not surprising to find SSDs suffering from some bugs especially when a new SSD comes to the market. If you have a new SSD that’s behaving weirdly or is having certain issues related to data storage, transfer and more, it could be because of bugs. But fret not as most manufacturers tend to release firmware updates for their SSDs to squash those bugs. Therefore it’s necessary to update the firmware of your SSD when a new one comes out. Do note that some updates would completely erase the SSD and you should always make a backup of your data before updating the SSD firmware. Defragmenting HDDs after a certain period was necessary to get rid of fragmented data and to improve the HDDs performance but you should never defragment SSDs. On SSDs, the storage sectors have a limited number of writes available and defragmenting an SSD will result in an undesired number of writes happening because there is a lot of file movement while defragmentation. Therefore, defragmenting a SSD is a strict no-no. You should also turn of scheduled defragmentation in case you have it enabled in your system in order to prevent defragmenting a SSD. 6. )Click on “Set” to set this option and click “OK” when it’s done. Once you’re done optimising your SSD, you can always check its performance by using benchmarking software like CrystalDiskMark, AS SSD, ATTO Disk benchmark and more. These software will put your SSD to the test and provide thorough performance reports. How to mount ext4 partition in windows?